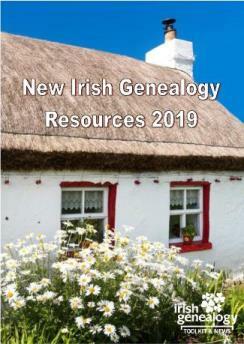 Ireland's census substitutes - surviving surveys and lists. Ireland's census substitutes are a collection of surveys carried out in the 18th and 19th centuries across a localised geographical area or distinguishable group of people. Unlike the 19th century population censuses taken by central government, a good number of these smaller-scale surveys survive. They are listed below, together with brief details and an indication of where they can be accessed. Few are online. 1740. List (names only) of Protestant householders in parts of counties Antrim, Armagh, Derry, Down, Donegal and Tyrone. Organised by county, barony and parish. Typescript copy freely available in PRONI's Search Room. 1766. The Church of Ireland instructed their rectors to compile a snapshot view of their parishes. 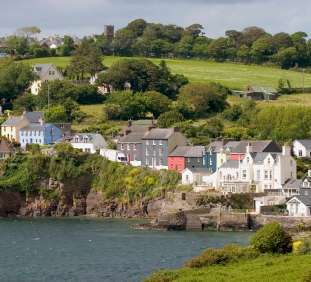 They were to compile records of all householders, indicating their religion as either Church of Ireland (Episcopalian), Roman Catholic (Papists) and Presbyterians (Dissenters). They were also to record details of any Catholic priests operating within the parish. Unfortunately, the instructions did not explain how this detail was to be provided so rectors interpreted them differently. 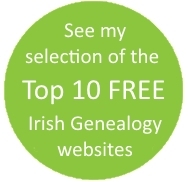 See Ireland's 1766 Religious Census for more details. 1770. Armagh Town population census arranged by street, recording names, occupapations, family size and religion. Held at PRONI (T 808/14938 & T808/14977). 1796. Spinning wheel entitlement. More about this unlikely resource and the vital flat plant industry. 1824-38. Tithe Applotment Books. This collection is now online, and free. Find out more about the Tithe Applotment Books. 1831-1900s. National School Registers. PRONI holds a collection of more than 1500 registers for schools in Antrim, Armagh, Derry, Down, Fermanagh and Tyrone. In the Republic those registers that survive are held locally; a few have been digitised. 1841. 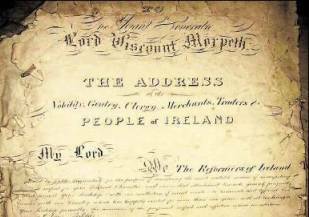 The Morpeth Roll, or Testimonial Scroll. Measuring 412 metres in length, the scroll contains the signatures of some 300,000 people. Most were politicians, clergy and establishment types, but some merchants and non-nobility supporters were also thrown into the mix. Unfortunately, only some addresses or localities were noted. The Roll has been digitised by Ancestry (click image). Census Search Forms, also known (erroneously) as Irish pension records. 1846 &1856, 1870, 1881, 1894. Slater's Commercial Directory. Followed similar format to Pigot's but expanded the number of towns and provided additional details. 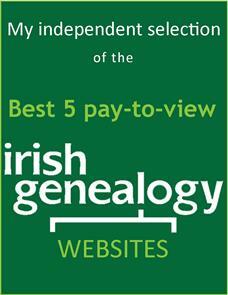 The 1846 version is available free on Failte Romhat. 1848-64. Griffith's Primary Valuation of Ireland. 1851. Census Search Forms, also known (erroneously) as Irish pension records. 1841. The Morpeth Roll, or Testimonial Scroll. Measuring 412 metres in length, the scroll contains the signatures of some 300,000 people. Most were politicians, clergy and establishment types but some merchants and non-nobility supporters were also thrown into the mix. It has been digitised by Ancestry (click image). 1841. Census Search Forms, also known (erroneously) as Irish pension records. 1860s-1900s Cancelled Land Books. Useful for tracking land occupation. Changes of ownership provide clues to dates of death and emigration. Books for Northern Ireland are online. Those for the Republic are held by the Valuation Office. 1876 Landowners of Ireland. This was a survey of those landowners with more than one acre. Gives name and details of the land holding of more than 32,000 owners. 1939 National Register for Northern Ireland. Held by PRONI, this National Register survives intact. It is not online, nor is it available to personal visitors. Applications for information can be made via Freedom Of Information processes (not onerous).